Movies adapted from books never seem to properly capture the nuances an author conveys with the written word. 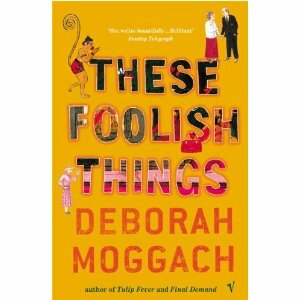 While the world enjoyed the movie, “The Best Exotic Marigold Hotel” with Judi Dench and a great cast of talented Brits, it paled in comparison to the original book “These Foolish Things” by Deborah Moggach. The book provided a lot more background on the quirky characters before they went to India and actually was funnier than the movie. If you haven’t read it, I highly recommend it. 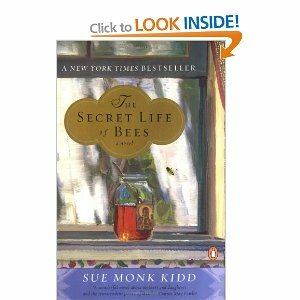 Similarly, I read the book “The Secret Life of Bees” by Sue Monk Kidd before I saw the movie and, again, the book was infinitely better. 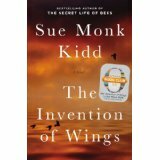 I just finished reading her latest novel, “The Invention of Wings” and it was another winner that I couldn’t put down. The book is historical fiction based on the lives of real-life sisters Sarah and Angelina Grimké who were early abolishionists and pro-feminists in Charleston, South Carolina in the early to mid-1800s. At the age of 11, Sarah is given a birthday gift of a 10-year-old slave girl called Hetty, also known as Handful. At a young age Sarah witnesses a slave being beaten and is so traumatized by the event she is temporarily rendered mute then develops life-long speech difficulties including sporadic stuttering. Her younger sister Angelina becomes her ally in her fight against slavery. The story follows the lives of several southern women and men in the Grimké circle. Sue Monk Kidd’s books always have a spiritual element that drive her characters without being preachy. She provides fascinating insights into the lives of mid-nineteenth-century women in the south, juxtaposed with their counterparts in the northern states. The Invention of Wings would also make a good movie but could never capture the thoughts, motivations and subtleties so beautifully outlined in the book. During the time I was reading this book, I also saw the movie, “Twelve Years a Slave”. That prompted me to dig out a book called “Within the Plantation Household – Black & White Women of the Old South” by Elizabeth Fox-Genovese which I purchased more than ten years ago after touring an old plantation near Charleston. It’s a bit of a grim read – more like an academic work, but somewhat interesting nonetheless. Now that I have three stories within one month about slavery behind me, I think I need to move on to something a bit lighter. Time to return to another P.J. O’Rourke or David Sedaris-type book. Any suggestions? Thanks for the book suggestions Lynda. I did not know The Best Exotic Marigold Hotel was also a book. It’s one of my favorite movies! A suggestion for you: Late Nights on Air by Ottawa based author Elizabeth Hay. Well worth reading however may be a better read during the winter season as it plays in Yellowknife. Thanks Lola. I’ll definitely add that book to my list – always enjoy a good Canadian book. I just read three books that I found interesting. 1) The Birth House by Ami McKay 2) Orphan Train by Christina Baker Kline and 3) Gone Girl by Gillian Flynn. Thanks so much for the feedback. I’ll definitely add those books to my list.